My daughter used to spend so much time drawing and painting, but since classes began last month she rarely draw to relax. She has done two drawings but for school project purposes. 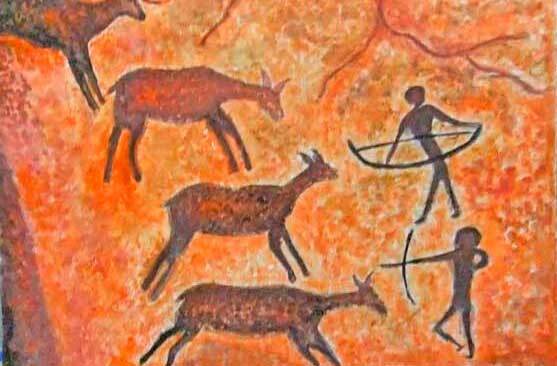 This is called cave art or doodling of Paleolithic men and women (source). She downloaded a copy of this from the internet and drew it approximately as it looks only much larger. I don’t need to use symbol barcode scanner to see the details and color shadings. She used water color to achieve the earth color tone. The project was submitted this morning and she received praises from her teacher and classmates. She was happy to hear the compliment. This entry was posted in Artwork, Kids and School and tagged cave art, drawing project, project in school on July 12, 2011 by Yami.